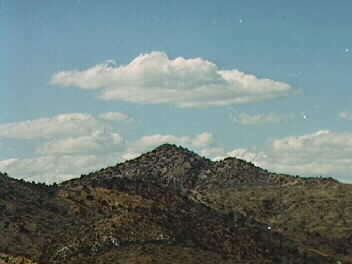 This is a view of Ramboz Peak, named for [Henry?] Ramboz, an early prospector in the Globe area. The first successful silver mines in this region were developed at the base of this mountain (1873-76). It is located abut 5 miles north of Globe.